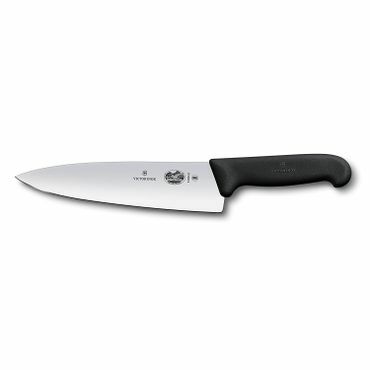 The Mac MTH-80 takes our top spot in the chef's knife category in this year's report, with Victorinox and J.A. Henckels coming in as two great budget choices. We also name plenty of terrific runners up, like Wusthof, Kyocera, Global, Mac, Rada, OXO and Mercer. No matter how you slice it, these are all great knives. 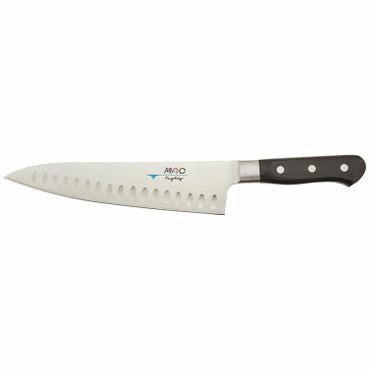 Lightweight and well-balanced, the Mac MTH-80 is a great choice if you want an all-purpose chef's knife that will hold up to frequent use. The Mac MTH-80 is sharp out of the box, stays that way longer than comparable knives and is easy to hone or sharpen at home when it starts to dull. Whether you need to chop herbs without crushing, or slice butternut squash without cussing, the MTH-80 has you covered. 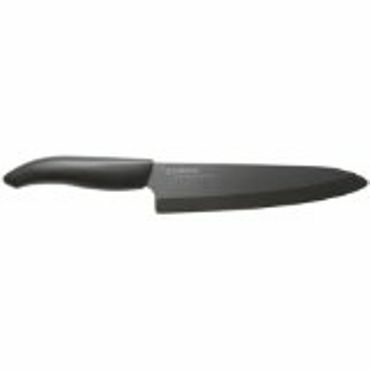 It excels in professional tests, and owners of the Kyocera Revolution Series 7-inch Professional Chef's Knife say they can't imagine life in the kitchen without it. This ceramic knife gets top ratings for slicing cleanly and effortlessly through tough items such as carrots and potatoes, yet can slice a tomato as thinly and evenly as you need. It's lighter than metal, something people who do a lot of food prep appreciate. 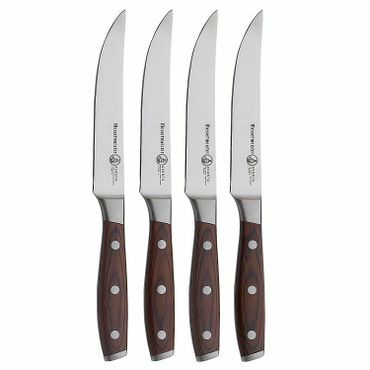 The Messermeister Avanta 4-Piece Fine Edge Steak Knife Set is a top choice of both owners and professional testers for its superb performance and beautiful appearance. At five inches long and weighing 2.7 ounces each, they feel well-balanced and comfortable. The knives curved tip separates meat from bone with no "sawing" require, cutting through even the toughest meats cleanly and easily. Three sturdy, attractive handle options are available, brown, black and stainless. 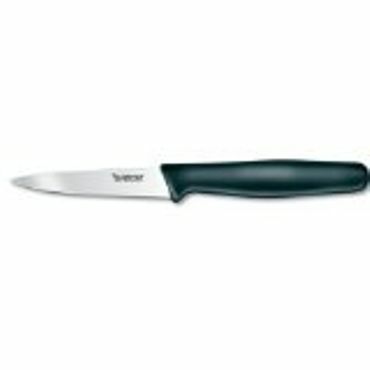 Also referred to as a cook's knife, this is the one to choose if you can only have one kitchen knife. Experts say a chef's knife can handle most kitchen tasks all by itself. Since this knife is the kitchen workhorse, it's crucial to find one that feels good in your hand, with the right weight and balance and a comfortable handle. It should be sharp enough to disjoint a chicken or thinly slice a tomato without crushing it. While 8-inches is the most common size, if you have smaller or larger hands, you may be more comfortable with a 6- or -10-inch chef's knife instead. Small enough to fit easily in your hand paring knives are used for more intricate work that requires greater control, such as peeling or coring fruit, cutting up small items like berries or herbs, and removing eyes from potatoes. Typical blade lengths range from 2.5 to 4 inches, but most experts say the perfect size for most people is 3.25 inches. People with larger hands often like the 4-inch option, however. Although they may be called bread knives, these are not just for slicing bread. The best bread knife, experts say, is 10 inches long so that it can handle even the largest loves of crusty, artisan bread with one swipe. However, these knives can also be used for slicing tomatoes, watermelon and cakes. 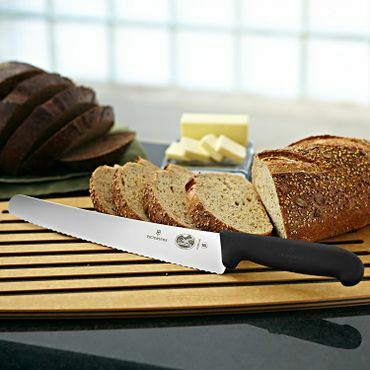 Some serrated knives are made in smaller sizes that aren't as useful for cutting larger loaves of bread, but many reviewers say they still cut smaller loaves well and are more versatile for other tasks. 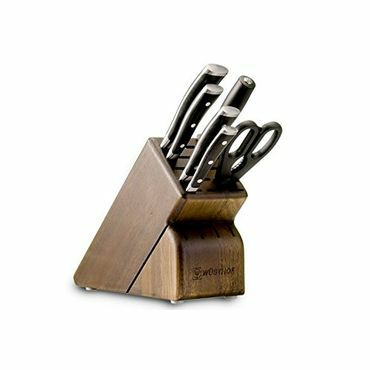 If you're stocking a kitchen for the first time or just want a good selection of knives that match, you'll want to consider a knife set. Owners say they love having a dedicated place to store their knives and many display the included bock as part of their kitchen decor. In addition, there are some very high-quality knife sets that would cost far more if you purchased the same knives individually. Even if you never use a knife for food prep, you'll probably always need a sharp knife to cut food at meals. And, in spite of the name, they're not just for meat. A matched set of good steak knives also adds some class to your table layout when you have guests. Experts agree: a sharp, good quality knife is essential for your kitchen. A dull knife can be dangerous because it requires more force to use, so it is more prone to slipping and cutting where it's not supposed to -- like on your hand. The ideal kitchen knife will have a sharp blade that holds its edge well, good balance, a comfortable handle and durable construction. Knives are constructed either from forged or stamped steel. Forged knives are made from one piece of steel that is heated and shaped using a hammer or press. Stamped knives are literally "stamped" from one larger piece of metal. It used to be a given that forged knives were better quality, but that's no longer true. These days, stamped knives are also manufactured to a very-high-quality standard that is virtually indistinguishable from forged knives. In fact, many cooks prefer stamped knives because they're lighter and more versatile, and they tend to hold their edge longer than softer, forged knives. Stamped knives are also much more affordable than forged ones. Although the best knives will stay sharp for a long time, most will eventually need to be sharpened. If that's something you'd like to take on at home, see our separate report on knife sharpeners. However, if you think that may be above your level of expertise, you can find a local or mail-order professional to do the sharpening for you. Most of the manufacturers in this report will sharpen knives for the life of the knife for a nominal fee. Kitchen knives get a decent amount of feedback and, in recent years, several less expensive brands of knives have risen to the top in many expert reviews and professional tests. To find our top choices, we analyzed the results of professional tests from Cook's Illustrated, Wirecutter, Food & Wine, Consumer Reports and several others. Roundups at sites like Epicurious, Reviewed and Reviews.com that also include testing were also very informative. After using the experts' input to narrow down our picks, we turned to the tens of thousands of owner reviews posted at sites such as Amazon and Williams Sonoma. Those reviews helped us to hone our choices down to the best knives for most kitchens.